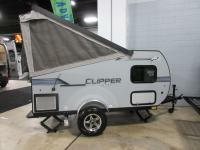 This Clipper Express camping trailer features a pop-up top with a rear entry door for easy access into this cute camper. 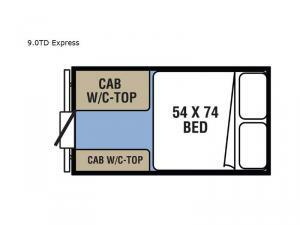 You will find a comfortable 54" x 74" bed in the front and residential laminated countertops on either side of the door in the back. Both sides of the pop-up portion are fully screened for plenty of ventilation. 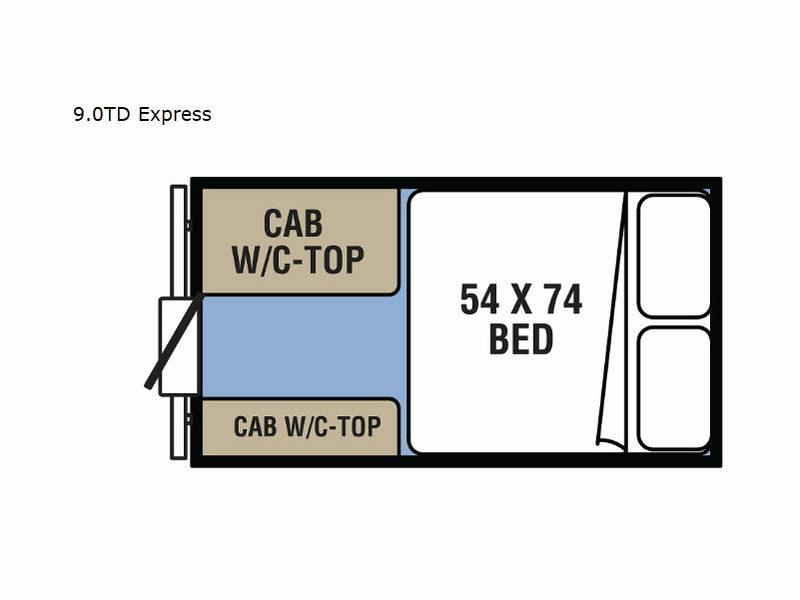 You will also find a front pass-through storage compartment for all of your outdoor camping items which is a perfect space for a folding table and camp chairs, or even a fishing pole or two!